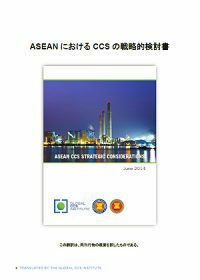 Japanese abridged translation of ASEAN CCS strategic considerations. Reducing the world’s greenhouse gas emissions, while delivering energy and growth, is a challenge to be met by a portfolio of clean energy technologies. Carbon capture and storage (CCS) can play an important role in reducing emissions, alongside renewables and energy efficiency. 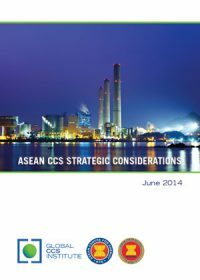 The CCS Strategic Considerations for ASEAN paper has been prepared by the Global CCS Institute and the ASEAN Centre for Energy to facilitate a discussion on CCS by ASEAN policymakers.